To make matters worse, when Poppy attempts to move with her family to a different part of the woods where the food supply is richer, Mr. Ocax refuses to let them go. 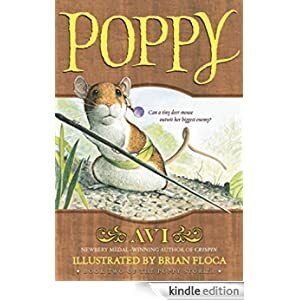 Armed with the bravery, gumption, and wit of a hero, Poppy embarks on a dangerous quest—joined by the irascible but lovable porcupine, Ereth—to defeat Mr. Ocax and lead her family to a better home. This book is for readers in grades 3-5 and is selling for $1.99 today.